Here are five women to know more about as the nation marks Martin Luther King Jr. Day. NEW YORK — As the nation celebrates Rev. Dr. Martin Luther King Jr. on Monday, what would have been his 90th birthday, it is also a time to remember the women who helped King propel the civil rights movement forward. "There would be no King holiday, no civil rights movement, no opportunity to be reflective of how far we’ve come if it wasn’t for scores of women," said Marcia Chatelain, associate professor of history and African American studies at Georgetown University. "For every name we know, there are scores of names we don’t know because of sexism," she said. "It’s incredible, the fact that women still continue to participate and make sure that more room is created so that future generations don’t have to confront the biases that women in the past faced." There were women who boycotted, women who organized carpools and held bake sales and women who strategized with King, all of whom helped chart the course of history. 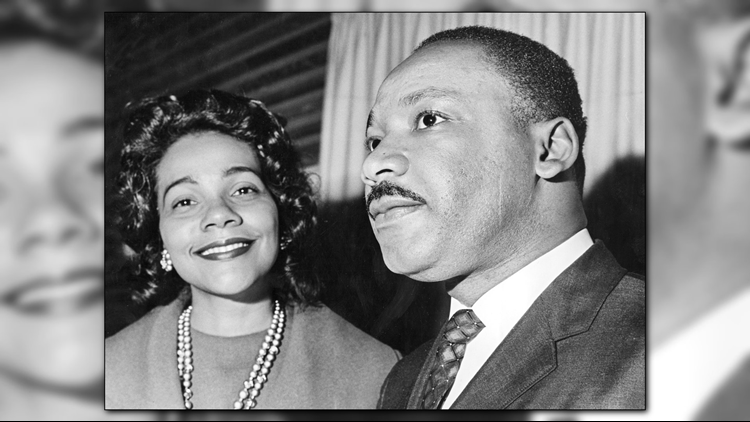 “I believe Martin was chosen, I believe I was chosen, and I say to the kids, this family was chosen as well,” Coretta Scott King said in her posthumous memoir, "My Life, My Love, My Legacy." Scott King, a mother of four, remained by her husband's side throughout his almost 13 years as the leader of the modern American Civil Rights Movement and up until his assassination in 1968. She would ultimately go on to preserve her husband's memory through the Martin Luther King Center for Nonviolent Social Change in Atlanta, Georgia, as well as lobby for 15 years to help establish Dr. Martin Luther King Jr. Day as a federal holiday. Coretta Scott King and her husband Martin Luther King on December 9, 1964 in Oslo where the clergyman and civil rights leader received the Nobel Peace Prize. Journalist Barbara Reynolds, who traveled with Scott King and wrote her posthumous memoir, said people have to look no further than the Montgomery bus boycott to see Scott King's influence. Just before the boycott, in 1956, the Kings' Montgomery house was bombed while Scott King was home alone with their infant daughter. They both survived and Scott King refused to leave Montgomery, even after her father and father-in-law pleaded with her to do so. "She told them that she was married to Martin but she was also married to the movement," Reynolds recalled. "Dr. King later said that if she had left, he would have left and if he would have left, people say there may have never been a Montgomery bus boycott." "We have to talk about the courage of the women in this movement," Reynolds said. Dorothy Cotton was invited by King to work at the Southern Christian Leadership Conference, the center of the civil rights movement. Cotton served as the conference's national director of education for 12 years, helping to train countless activists in non-violent action. She was the only female member of the executive staff and a close confidant of King, according to the Cotton Institute. Cotton is credited with typing King's “I Have a Dream” speech in a hotel room in Washington. She was also in Memphis, at the same hotel as King, before his assassination in 1968, according to The New York Times. Jo Ann Robinson was a college professor who is remembered as the real architect of the Montgomery bus boycott, according to Reynolds. King even praised Robinson in his memoir. "Apparently indefatigable, she, perhaps more than any other person, was active on every level of the protest," he wrote, according to the King Institute at Stanford University. Robinson was the first person in her family to graduate from college and became a teacher in Montgomery, Alabama. There, Robinson was degraded by a bus driver for sitting in the bus's "whites only" section, according to the National Museum of African American History and Culture. When Robinson later became president of the Women's Political Council in Montgomery, she made it a priority to desegregate the city's buses. She became a key player behind the scenes of the Montgomery bus boycott and was arrested and faced acts of violence and intimidation. Robinson was among the boycott's leaders who eventually had their homes guarded by state police, according to the NMAAHC. Ella Baker is credited with organizing and guiding countless leaders through her work at the Southern Christian Leadership Conference and as a founder of the Student Nonviolent Coordinating Committee. She moved from New York City to Atlanta in the late 1950s to help King run the SCLC. Baker then went on to organize student activists with the SNCC after the Greensboro sit-ins where black college students were denied service at a Woolworth's lunch counter, according to the Ella Baker Center for Human Rights. "She believed in the power of every person to be a leader," said Chatelain. "Her principles informed the generation of people whom King was able to mobilize." Baker was nicknamed "Fundi," a Swahili word meaning a person who teaches a craft to the next generation, according to the Ella Baker Center. Rosa Parks is famous for starting the Montgomery bus boycott by refusing to give up her seat to a white male passenger on a public bus. But historians say there is much more to the woman known as the "mother of the civil rights movement." "She is hugely important and hugely misunderstood," said Jeanne Theoharis, distinguished professor of political science at Brooklyn College of CUNY. "Her stand on the Montgomery bus came out of her long resistance." 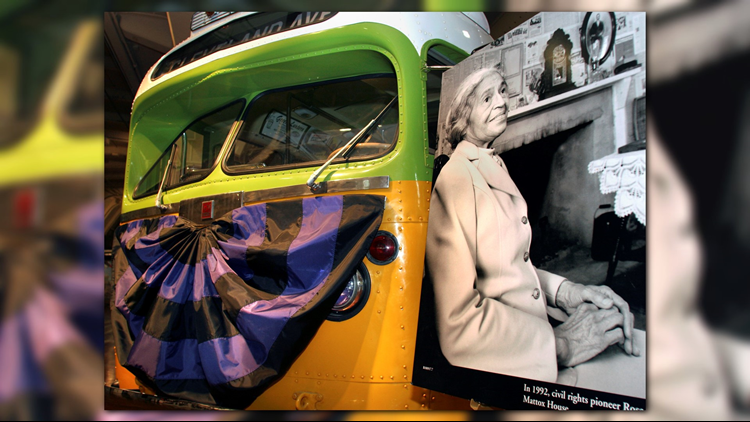 The bus made famous by civil rights pioneer Rosa Parks sits on display draped with mourning bunting October 25, 2005 at The Henry Ford Museum in Dearborn, Michigan. Rosa Parks died in her apartment in Detroit the previous day at the age of 92. Parks was a lifelong activist who served as secretary and youth leader of her local branch of the National Association for the Advancement of Colored People, according to The Rosa and Raymond Parks Institute for Self Development, which she co-founded in the 1980s to help young people. Years before the bus boycott, Parks helped work on behalf of Recy Taylor, a young black mother, and sharecropper who was abducted and gang-raped in Alabama by six white men. "She investigated sexual violence against black women, was thinking of the ways black women were ignored by justice system and she organized other black women," Chatelain said of Parks. "Her activism before the bus boycott was strong." Parks "created a platform that King could carry on," according to Chatelain.